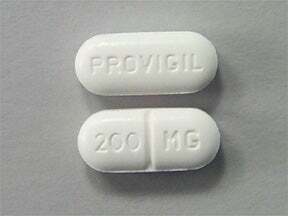 Provigil (AKA modafinil) has been called a wonder drug: it can keep you awake and alert for hours without side-effects, and it's even recommended as "the professor's little helper" by neuroscience researchers writing in the prestigious journal Nature. Provigil, approved by the US food and drug administration for the treatment of narcolepsy, is often prescribed "off label" for ailments like severe jet lag, ADHD, and even problems with sleep cycles. But this drug, which is supposed to be a non-addictive stimulant because it doesn't get you high, turns out to be potentially as euphoria-inducing and addictive as cocaine. Modanifil is reinforcing, as evidenced by its self-administration in monkeys previously trained to self-administer cocaine. Modafinil and cocaine dose-dependently increased heart rate and blood pressure. The results of the present study suggest that modafinil has minimal abuse potential, but should be viewed cautiously because of the relatively small sample size. Future studies should further characterize the abuse potential of modafinil using other behavioral arrangements, such as drug discrimination or drug self-administration. A full characterization of the abuse potential of modafinil will become important as the use of this drug increases. In early trials, several candidate medications—bupropion, modafinil, and, to a lesser extent, baclofen—have shown promise in treating aspects of methamphetamine dependence, including aiding memory function necessary to more effectively participate in and benefit from behavioral therapies. With more and more people getting prescriptions for Provigil, and the drug fast catching up with Viagra for most spammy ads online, shouldn't someone be investigating just how addictive it is?